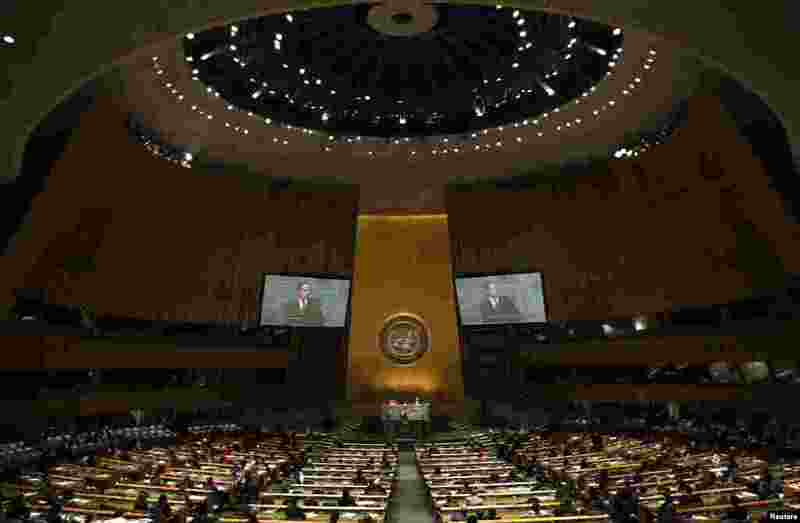 1 British Prime Minister David Cameron addresses the 67th United Nations General Assembly, New York, September 26, 2012. 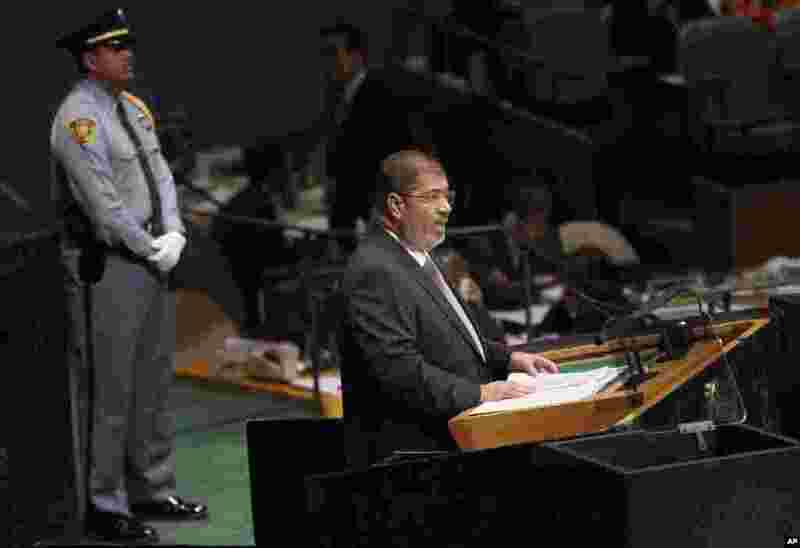 2 Egyptian President Mohamed Morsi addresses the 67th session of the United Nations General Assembly, New York, September 26, 2012. 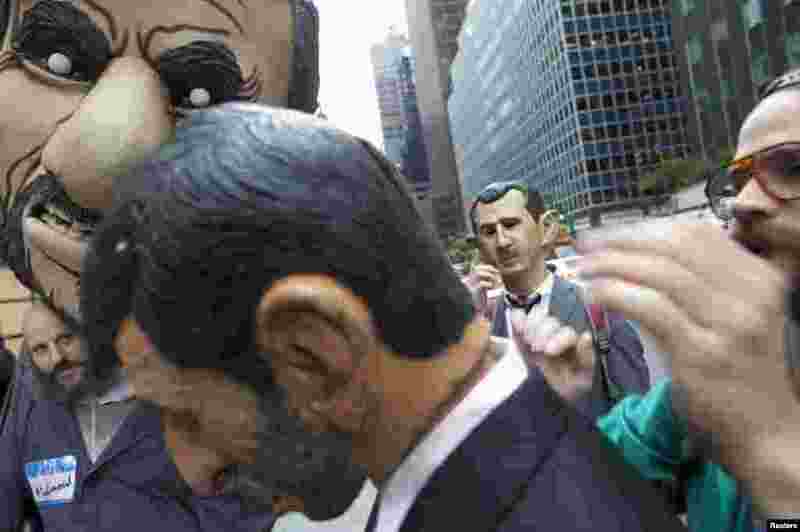 3 Performers dressed as Iranian leader Mahmoud Ahmadinejad and Syrian President Bashar al-Assad (rear) prepare their costumes before a protest on the sidelines of the United Nations General Assembly in New York, September 26, 2012. 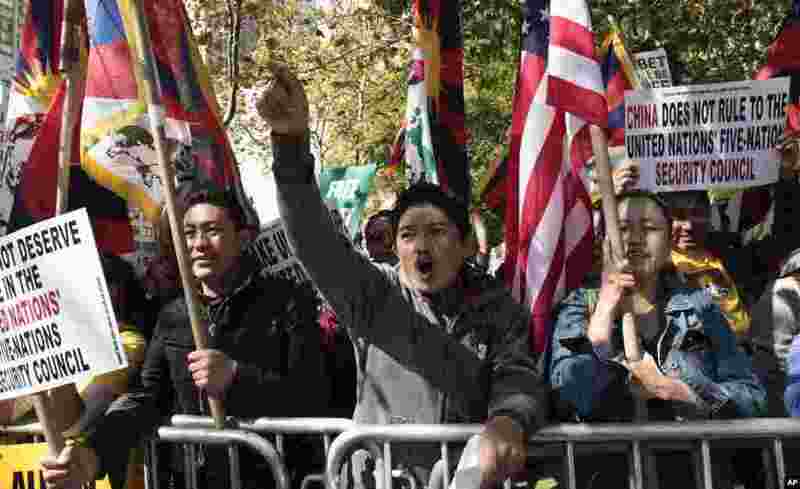 4 Tibetans rally near the United Nations during the 67th session of the United Nations General Assembly, New York, September 25, 2012. 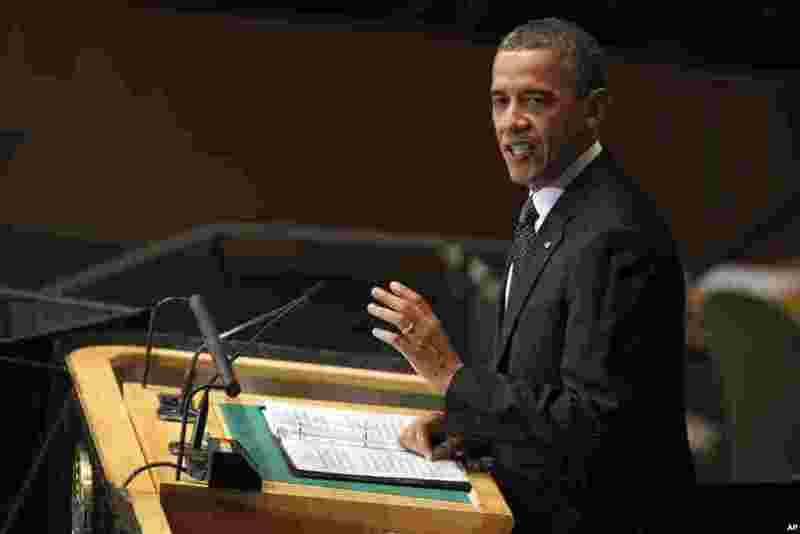 5 President Barack Obama addresses the 67th session of the United Nations General Assembly, New York, September 25, 2012. 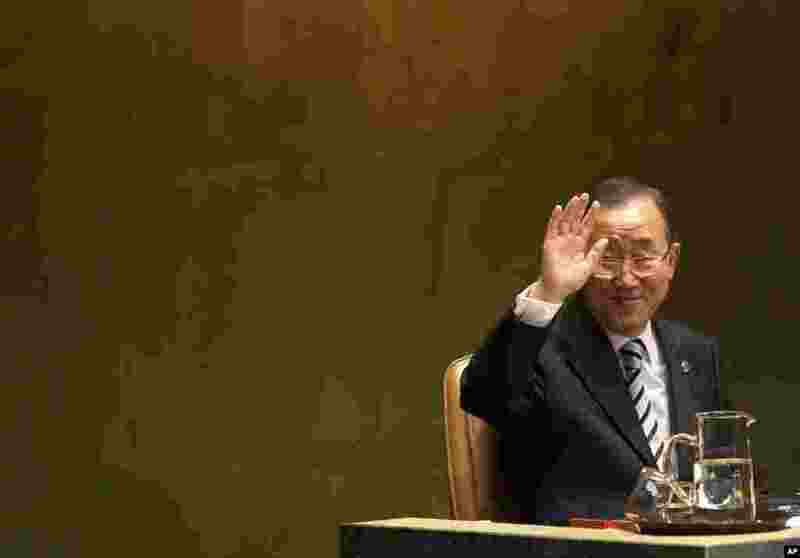 6 United Nations Secretary-General Ban Ki-moon greets people during the 67th session of the General Assembly, New York, September 25, 2012.